In this post, I will highlight all the new features introduced into Lightning App Builder with Spring 17 release. To set up Einstein & its Features, learn here (screenshots added). Read the highlights from All of the Spring 17 updates here. What’s new in Reports & Dashboards in Lightning Experience this Spring 17, click here. 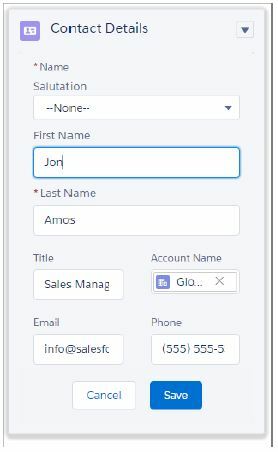 Assign Lightning Pages by Record Type, App or Profile: Earlier Lighting Record Pages were available to be assigned to only Profiles, now you can assign to a particular Record Type or even an App. So, they will do more than what a page layout in Classic can do. 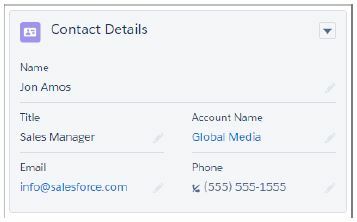 You can now customize Person Account Lightning Pages also in Lightning Experience. New Lightning Page Templates: Earlier to build a Lightning Record Page or a Home page, you had only 3 options (header with 1 or 2 columns only). Now more templates have been added for Record Pages and App Pages as well including the most wanted 3 columns layout! You can now clone Default Lightning Pages as well. 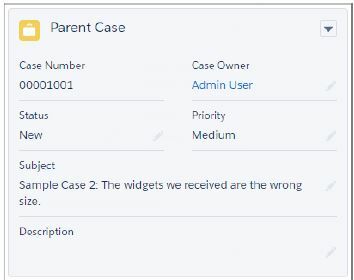 Displaying Case’s contact record details as a component in Case Page. 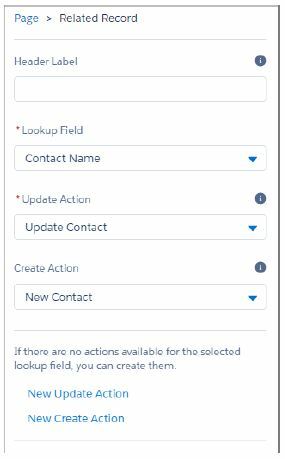 If there’s no related Contact record for a case, it will be blank. The UI is dynamic enough to handle this situation by giving you the option to search contacts and assign it to the Case. What’s more, you can even inline edit the related record details without leaving the page. 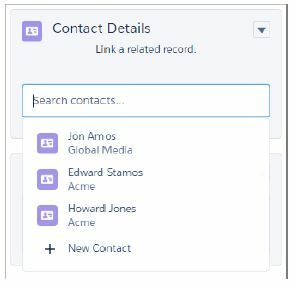 Selective Related List: Now you can choose which object related lists to appear in a Record Lightning page while adding the related list component to a page. 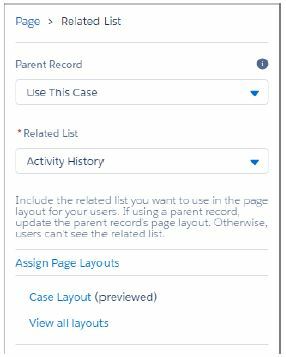 Related List of Parent Record: Taking this another level up, you can display related list of a parent/lookup record as well. Wow! 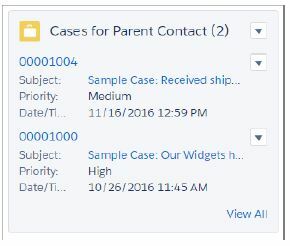 Example: On a case record page, you can display, the related Contact’s cases related list! Related List or Related Tiles: Instead of displaying as lists (tabular view), you can now display related records as a tiles. You can now display pending Approval Requests in Home Page, Yay! 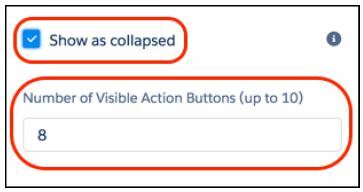 Flow components in Lightning Pages (Beta): Not generally available still though! Rich Text can be added to Lightning Pages only after disabling LockerService Critical Update.